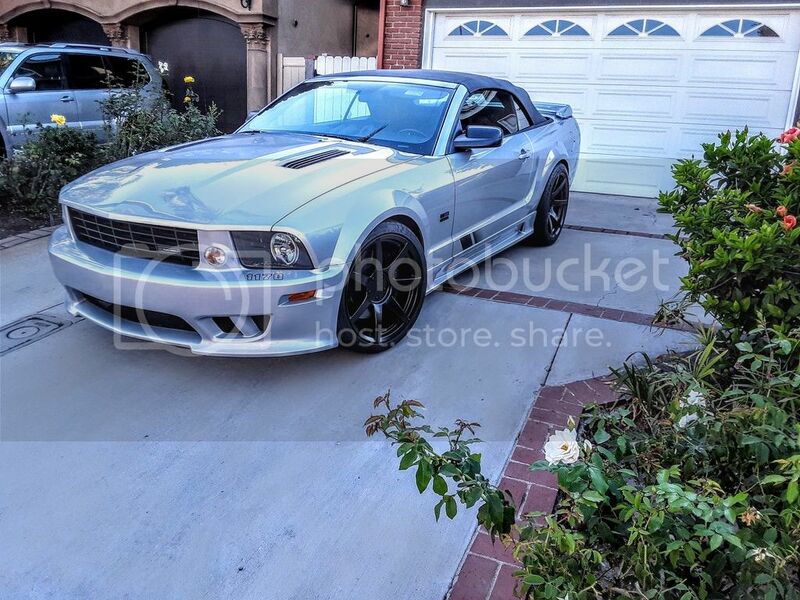 Selling my 2006 Saleen Supercharged Convertible (one of only 203 made that year). Garaged Southern California car. Never in snow and generally not driven in the rain (as I have a Ford Bronco I drive in inclement weather and as a daily driver). Never been on a race track or abused. 475 hp upgrade by Saleen's factory headquarters in Orange County in 2007. All maintenance receipts available for the last 12 years. Regular Mobil 1 oil changes. No mechanical issues or leaks. Never any major mechanical repairs. The car has been a joy to own and gets compliments regularly. The only reason I'm selling is because I just purchased a Z06 Corvette and I have no more room in my 3-car garage. Front and rear bumpers repainted last year to remove minor paint chips. Upgraded spun forged (lightweight) smoked black wheels. Original Saleen chrome 7 spoke wheels included too. Non-smoker car. Interior still smells of leather. No interior damage, stains, or tears. Bump. Asking $29,000 or best offer. Selling my '06 Supercharged Convertible (1 of 203 made that year). Same owner for 13 years. Only 55,800 miles. Garaged Southern California car. Never in snow and almost never driven in the rain (as I have a Ford Bronco I drive in inclement weather and as a daily driver). Never been on a race track or abused. After the initial purchase in 2006, I had Saleen's factory headquarters in Orange County upgrade the car from 435 hp to 475 hp in 2007. The car can now be easily upgraded to 525 hp or 600 hp with a simple JDM tune. All maintenance receipts available for the last 13 years. Regular Mobil 1 oil changes. No mechanical issues or leaks. Never any major mechanical repairs. Newer upgraded brake pads and new battery. The car has been a joy to own and gets compliments regularly. The only reason I'm selling is because I just purchased a Z06 Corvette and I have no more room in my 3-car garage. Upgraded spun forged (lightweight) smoked black wheels. Original (and rare) Saleen chrome 7 spoke wheels included too. Faster, more refined, and more rare than a 2006 Mustang Shelby GT500 or Cobra.